A warm welcome is guaranteed at Little Park Farm, Mortimer, which is a peacefull, quiet, spacious, farmhouse, set in glorious countryside, and set half a mile away from the nearest road. Two double en-suite bedrooms, one twin en-suite bedroom, each with a digital TV, Tea and Coffee facilities, wireless internet access. We also have apartments available on a short term basis, the availability for these is on the ‘check availability’ tab. Either check availability using the ‘Book Now’ button above left, Check Availability on the left side of the toolbar, or call Serena now on 01189332303 / 07770767094 to check availibility and long term booking discounts, or renting one of the cottages, four are available for short term/long term lets. Location: Within easy access of M4 (J11 10 mins) & M3 (J6 15 mins) , making Little Park Farm well placed for business travellers. The Farm House is 1 mile from Mortimer Station, with trains running between Reading and Basingstoke every 30 minutes (London 35 minutes). There are beautiful walks and cycling available around the farm and beyond. There is storage for bycycles if necessary. We are located 1.5 miles from Mortimer village, and 0.5 miles from Beech Hill, and Stratfield Saye, and 7 miles from both Reading and Basingstoke. Full English or Continental Breakfast provided (optional). 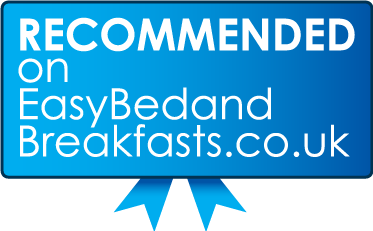 single occupancy B&B – from £60 per night (two nights or more, without breakfast). One night stays are available. double occupancy B&B – from £80 per night (two nights or more). One night stays are available. Wedding Parties: We can cater for wedding parties. You may wish to book exclusive use of Apartment, Cottage & B&B accommodation. The communal areas are spacious for socialising, make up, hair and dressing. The farmhouse has three bedrooms, two being on the top floor which you would have exclusive use of – including a sitting room and kitchenette. There are also campbed/sofabed options for this floor for large parties. Business People: We can cater for business people from Green Park, Thames Valley Park & central Reading or Basingstoke Businesses, who often book 1-4 nights a week for a period of 2-3 months. If this is of interest please call Serena on 01189332303 or 07770767094 for a bulk booking discount. Our hosts were welcoming, friendly and helpful, the farm had a wonderful atmosphere, peaceful with a sense of history and wonderful country views.